(05/15/2017) - These professional members of the Newport News Public Schools team dedicate themselves to advancing the mission by ensuring that students graduate college, career and citizen-ready. They are representative of more than 5,000 devoted employees who serve and support our students. Download Support Staff of the Year poster. 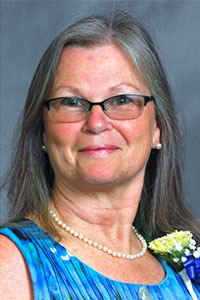 Jane Lilley is an instructional assistant with 20 years of service. Ms. Lilley consistently goes the extra mile for her students. She approaches each day with a positive attitude and enthusiasm. Her calm demeanor gives each student a great sense of self-worth. Ms. Lilley also serves on several school committees including the Wellness Committee, Relay for Life and the social committee. Sam Butcher is the support staff honoree at Gatewood PEEP. Mr. Butcher goes above and beyond his custodial duties to support teaching and learning. He assists with any and all activities that benefit students. Mr. Butcher assists with hoses and water/bubble tables for field day, and sets up for the carnival, Parent Empowerment dinners and meetings, professional development sessions and PTA meetings. Mr. Butcher has an easy-going, positive, personality no matter the situation or challenge. Soniea (Sonya) Hall is willing to take on any task. 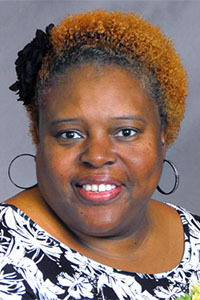 She serves as a leader for the instructional assistants at Lee Hall. Ms. Hall helps plan instructional assistant meetings to discuss best practices and strategies, and she creates the schedules. She is flexible and willing. Ms. Hall's principal says that her students love her and her colleagues enjoy working with her. 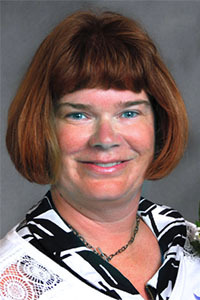 Debra Heckstall is an administrative secretary who serves as the office manager. 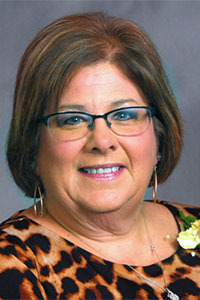 In addition to managing the bookkeeping, employee absences, and tending to the needs of students and staff, she mentors several students in the building. Her principal says she is a great listener who helps with solutions instead of dwelling on challenges. 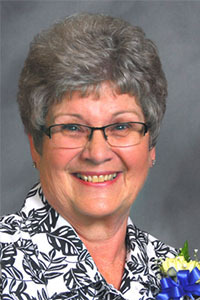 Joyce Owens, school registrar, has served the school division for 25 years. When visitors enter the office, she greets them with a smile and a 'how may I help you?' She is usually the first person to arrive and the last person to leave, as she waits to ensure that all students are picked up or arrive home safely. 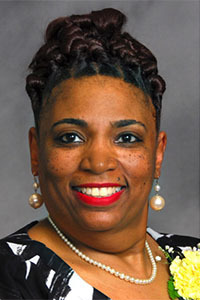 Her administrator says that Ms. Owens is dedicated to school activities and serves as a key member of the Relay for Life Team and spearheads the March of Dimes Drive. 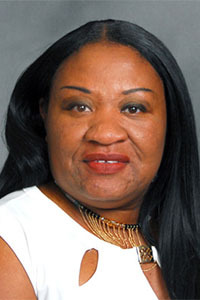 With over 60 students who have medical diagnoses that require treatment during the school day, Medical Assistant Monique Askew plays a vital role in keeping students healthy and ready to learn. She serves students with asthma, allergies, diabetes and other diagnoses. 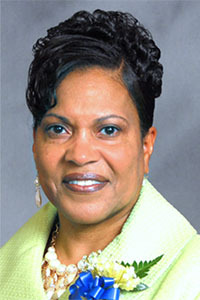 Her administrator says that Ms. Askew educates and encourages self-empowerment and collaboration. Kelly Ingram is the administrative records secretary at Carver. Whether on the phone or in person, Ms. Ingram is pleasant and helpful. When families come in, she listens and takes action ensuring they have the resources they need. 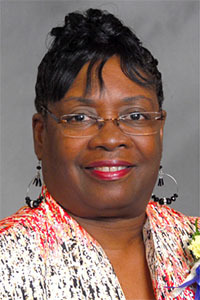 Because many parents work during the school day, Ms. Ingram will meet them early in the morning or later in the evening. Her professionalism is a vital part of the culture at Carver. Shelley Huntington is more than an administrative secretary at B.C. Charles. She is heartbeat of the building; she goes above and beyond to encourage students and solve problems for teachers. 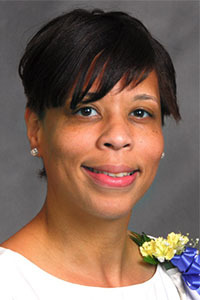 Ms. Huntington has established strong and positive relationships with students, parents, teachers and the community. She supports, inspires and encourages others in her daily practice. 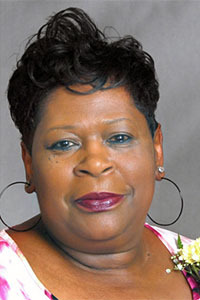 Virginia Harden is an office professional who consistently goes above and beyond in her responsibilities. She greets visitors, assists students, and answers the phone, all while maintaining her calm, friendly manner. Ms. Harden's administrator says that she goes about her duties with purpose and determination. She is an asset to the Deer Park family. Security Officer Richard Griffin works diligently to ensure the safety of students and staff. He mentors students and actively participates in school events. His willingly assists teachers with helping students reach their academic and behavioral goals. His administrator says that Mr. Griffin's positive attitude enhances everyone's day. 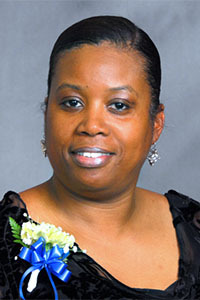 Administrative Secretary Phillis Singleton is always willing to lend a helping hand to students, parents and staff. She manages a busy office, greets parents and answers questions from staff and families. 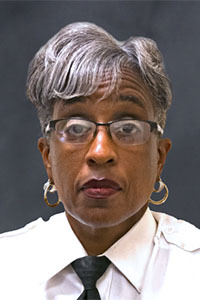 Her administrator says that Ms. Singleton connects with people and forms beneficial relationships to offer guidance and support. 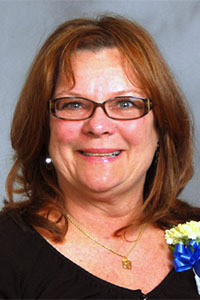 Lorraine Gordon is a special education instructional assistant. 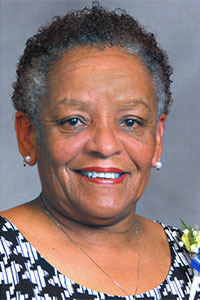 Her administrator says that Ms. Gordon is widely respected as a skilled educator and team player. She diligently ensures that all of her students are well-served and that her parents are supported. She is an asset to the entire Epes community. Tammy Greenway educates families of students with chronic health conditions so that they can better manage their health and attend school regularly. 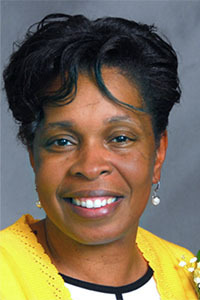 She encourages and supports health awareness initiatives and provides needed resources to promote healthy lifestyles. Ms. Greenway also shares her love of insects and plants in classroom learning projects. Instructional Assistant Joyce Cates has trained and mentored new instructional assistants and she takes the initiative to establish routines and procedures to ensure everything runs smoothly. Ms. Cates works directly with small groups of students to advance their learning. Teachers say she is invaluable. 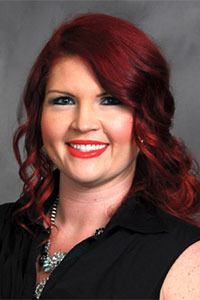 Shaketa Crandell is an instructional assistant for students with disabilities. She has high expectations of her students. Ms. Crandell maintains a productive, encouraging learning environment and provides explicit instruction to ensure student success. To advance her own knowledge, she attends teacher planning sessions to better understand the curriculum and its delivery. Amy Flicek is an instructional assistant, who exudes positivity and professionalism. She demonstrates a genuine passion to help students, teachers and families. Whether she is supporting math instruction, reading with students, enhancing technology or safely assisting students and families as they cross the street, Ms. Flicek is committed to being a difference maker. 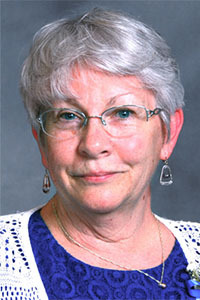 Elizabeth Marshall is Jenkins Elementary's records secretary. Her administrator says that she welcomes students and families with a contagious smile every day. She diligently supports the afterschool program, WE LEAP and Saturday School. She goes above and beyond to make certain that all student registrations are accurate and thorough. Stephanie O'Guinn is an instructional assistant in a self-contained Special Education class. She assists in creating reading and math groups, and encourages students to complete assignments independently. Ms. O'Guinn assists with lesson planning for each grade level to differentiate lessons according to each student's abilities. She also mentors a first grade student through the school's One Caring Adult initiative. Laura Champion is a school security officer who sees herself as a support for students and teachers in advancing learning. If she is called upon to assist an upset student, her goal is always to deescalate to get the student back in class to learn. Ms. Champion also mentors students and encourages them. Carolyn Clark is a dedicated cafeteria manager. In addition to supporting the nutritional wellbeing of her students, she has created partnerships with local businesses that resulted in school supply donations for students in need. Ms. Clark motivates students with vibrant monthly bulletin boards that engage students in reflection and discussion on character traits, healthy eating and learning. 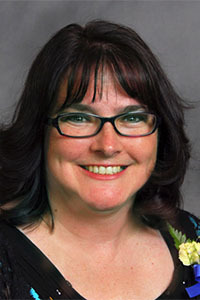 Kelly Sibley is a records secretary who serves as a mentor and friend to students. Her administrator says Ms. Sibley gives everyone a smile and is often seen joking with parents and staff, and offering hugs. She is quick to offer assistance and works diligently to streamline work efforts and launch new ideas. Clarence Daniels is a school security officer with 18 years of service to our students and staff. He greets students, parents and staff each morning. Mr. Daniels has established a rapport with everyone he interacts with. He is the go-to person in the school. From cooking for staff functions and cleaning, to calming down an upset student so that learning can resume, he is "on it." Maria Henriquez, family engagement specialist, understands the importance of "wrap around services" to support a child's educational journey. She is a master at soliciting volunteers for school events. The Palmer staff has a vast support of translators to serve families learning English because of Ms. Henriquez. She has also organized a mobile food pantry that serves over 100 families. She leads parent workshops, tutors students, and mentors 5th grade girls. Candice Proctor is a kindergarten instructional assistant. She works with students in small group reading and math to advance their learning. 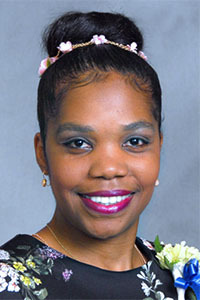 Ms. Proctor serves as the co-leader of the Achievers are Leaders program that matches 100 students with in-school jobs. 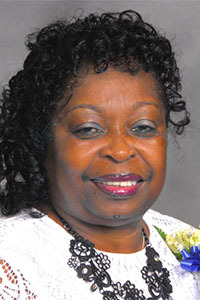 She also serves as the bus coordinator, ensuring efficient arrival and departure from school. Maggie Weisiger is a dedicated records secretary. She excels in all tasks. Ms. Weisiger knows every student, and which class they are in. She connects with students and builds relationships with them. Teachers also count on her expertise. She has mentored teachers and coordinated events. 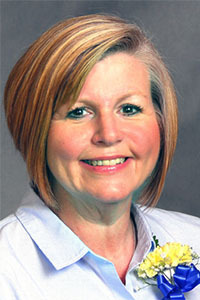 Her colleagues say she is truly an asset to the school. 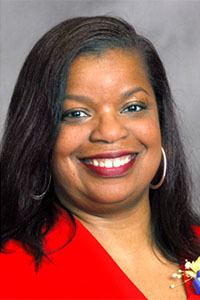 Students love Records Secretary Renee Williams. She makes herself available for hugs and conversation. 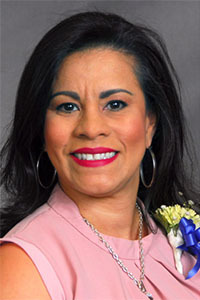 She makes it a priority to get to know students and their families; this allows her to connect them with Sanford or school division resources. 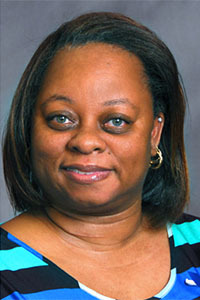 Ms. Williams uses strong, productive relationships to ensure students are college, career and citizen-ready. Omayra Hernandez is an administrative secretary. She has demonstrated exemplary performance by streamlining operational and financial practices. Ms. Hernandez takes a personal interest in her students and knows virtually all 700 students by name. 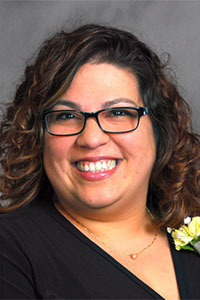 She serves as a great resource to her school community, which includes English Language Learners and their families. 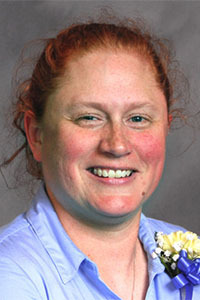 Jessie Pickett is an instructional assistant with 25 years of service. She has earned the respect of her students and colleagues. Her coworkers say that she supports and encourages students. Ms. Pickett is approachable, flexible and encouraging. Her work ethic and coordination are assets to her school community. 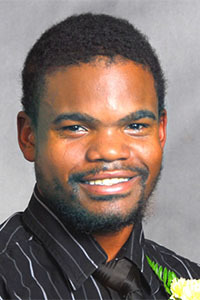 Robert Wilson is a special education instructional assistant. 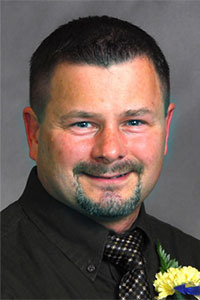 He is a great example of doing whatever it takes to make school a wonderful place for students to feel safe and learn. Students, families, and staff enjoy seeing Mr. Wilson at the front door every morning and afternoon as he greets them with a smile, handshake and high-five. He works diligently with students and staff and is always willing to take on additional tasks. 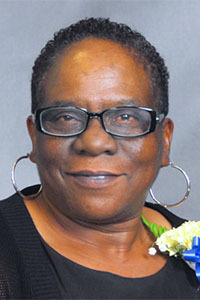 Joyce Ferbee is a custodian with 11 years of service. Ms. Ferbee always greets Dreamers and staff with a smile. She goes beyond her assigned duties and serves as a mentor to students, chaperones field trips, and attends school events. Ms. Ferbee takes great pride in adding her special touches to the building. As a technology support specialist, Scott Floyd goes above and beyond to assist students and staff with technology needs, often finding innovative solutions to technology challenges. Mr. Floyd also understands the importance of youth development. 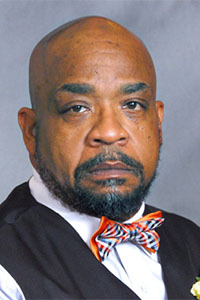 He sponsors the division's only middle school student assist team, the Crittenden Geek Squad. He meets weekly with the students and trains them on technology support, and provides guidance as the students assist teachers with integrated technology. 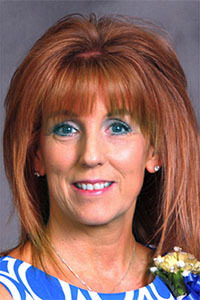 Cathy King is a secretary with strong communication skills. She eagerly assists parents, students, administrators and colleagues. She has a key role on Dozier's Attendance Rescue Squad. Ms. King prepares and analyzes attendance data for weekly meetings, expediting the school's efforts to identify students in need of support. She also instituted a grade level competition to determine who could complete their attendance the fastest with the best accuracy. She is hard working and committed. Clayton Dedmon is a security officer. He is everywhere when he is needed, and is always willing to assist. He has a great relationship with students and staff alike. Mr. Dedmon provides a great sense of comfort and security during his hourly rounds. He is reliable and handles any request for coverage, even at the last minute. 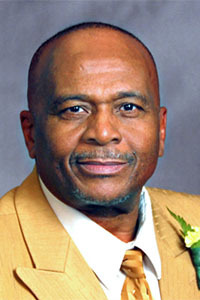 He also serves as a role model for students, exemplifying the highest standards of honesty and integrity. 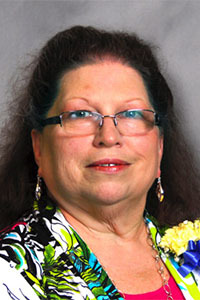 As the media clerk, Denise Lee is responsible for the logistics that keep the library functioning and operational. She regularly creates engaging displays that attract Spartans to read a new book, and she readily responds to questions about the library's collection. 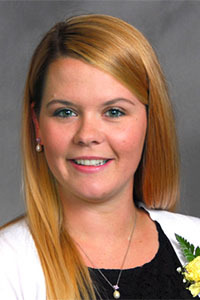 She also serves as the school's PR liaison, keeping internal and external communities aware of Hines Happenings. 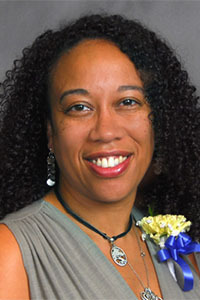 Erika Ferrell is an instructional assistant. She is multi-talented and lends her gifts to students and staff every day. Not only does she challenge her students in the classroom, she also takes the time to beautify the building. From bulletin boards, to displays, to grade level scrolls in the hallways, Ms. Ferrell's touch is evident everywhere. She takes great pride in her school. 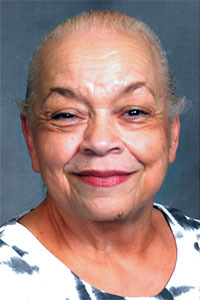 She knows that this gives Huntington an inviting atmosphere for students and staff. 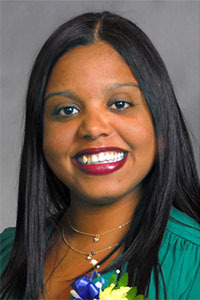 Tamoya Diggs is the in-school suspension coordinator and youth development leader. She provides a balance of support and firmness to make sure students decide not to return to the ISS room. While reflecting on their academics and behavior, she builds relationships with students. She encourages her students to get involved in a club or activity so they connect to school. Ms. Diggs also launched a peer-to-peer mentoring group. Custodian Christopher Daniel is a theatrical technician. The show cannot go on without him. In addition to ensuring the building is clean and things are in order, he greets every person he sees with a warm welcome. He builds positive relationships with students by encouraging them or rewarding them for good behavior with Baysaver Bucks and snacks he purchases himself. Mr. Daniel is a great listener and motivator for teachers and is always available when needed. Vernell Stallings is a custodian by job title, but he serves Denbigh with so much more. Before joining the Denbigh staff, he volunteered in the school counseling office. Mr. Stallings takes new students on tours, answers the phone and delivers passes. His customer service skills ensure all visitors have a great experience. He also greets students in the hallway and checks their grades. 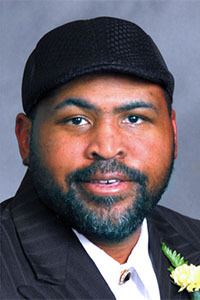 Kenai Braswell supports Enterprise Academy in many areas. Although her title is teacher assistant, she serves as the go-to person for technology, special events coordinator, and resident "jack-of-all-trades." She has an excellent rapport with staff and students and often goes beyond the call of duty by assisting with buses and bulletin boards. She has also filled in for teachers in the classroom, covered security and helped in the office. Tammy Ortery ensures that effective and efficient attendance practices are in place to identify families in need of support. She creates reports, collaborates with teachers and provides thought provoking suggestions during attendance meetings. Many parents have complimented her ability to handle sensitive situations with care. Her commitment has created a new accountability system for attendance at Heritage. 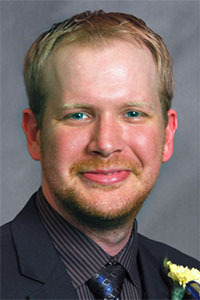 Whether Technology Support Specialist Glenn Riter is ensuing that hundreds of computers are ready for SOL testing or repairing computers that go down, he is always on call and ready to assist. He keeps Menchville 21st century ready and can be found fixing SMART boards, uploading new software, replacing hard drives and assisting students. Mr. Riter also mentors students interested technology and networking. He has a service-minded spirit in all that he does. Secretary Brittany Williams is passionate about helping students and serving the Warwick community. She works diligently for students and performs an impeccable job of ensuring attendance records are timely and accurate. She also serves as the school's PR liaison, sharing all of the positive news and events about Warwick. 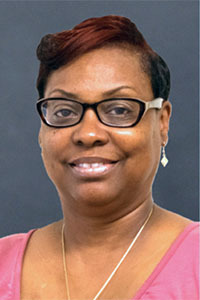 Temika Martin is a main office secretary who goes above and beyond every day. When she is not at her desk, she can be found helping teachers, hand delivering messages and stocking shelves. She also coordinates substitute teacher coverage. Ms. Martin works diligently to ensure that instruction continues during the teachers' absence by supporting the subs, and ensuring they have what they need for success. She performs this job efficiently and effectively with a positive attitude. Karlene Greenhow is a secretary extraordinaire. In addition to supporting four instructional supervisors, she stepped up and organized regular meetings of the administrative secretaries so they can learn from one another. As an avid deal hunter, she has reduced expenses for instructional supplies. She saved the department thousands of dollars by locating a company that refurbishes graphing calculators, giving the expensive items a longer life. Ms. Greenhow also serves as the admin building wellness leader – inspiring her colleagues to lead healthy lives. Since becoming a purchasing assistant, Brittany Matus has dedicated herself to reorganizing how food is accounted for. She has redesigned the order form, making it easier for cafeteria managers to place orders. Ms. Matus has streamlined the process and greatly improved the accuracy of the warehouse and our schools' inventory. She also serves as the wellness coordinator, challenging her colleagues to improve their health. Technician Andrea Kornegay is an invaluable asset to the HR team. She was instrumental in the development of the employee exit interview process and she plays an integral role in planning and supporting the numerous job fairs for support staff. 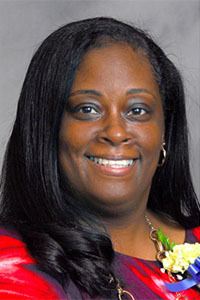 She is very meticulous with data entry and collection, and Ms. Kornegay manages multiple projects efficiently. She consistently goes above and beyond to support all HR functions. 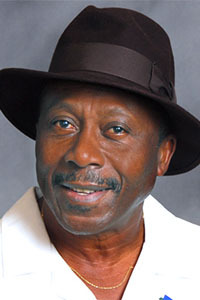 Wilbert Bradsher is the equipment repair technician. He repairs equipment so effortlessly that he amazes his colleagues. His supervisor says that he is like a magician when it comes to bringing life back into wet vacs, buffers and vacuum cleaners. He is also efficient; he saves parts to use on other machines. Mr. Bradsher's famous "Frankenstein pile" has saved the department's resources. He is quick to fill in when needed without complaint. 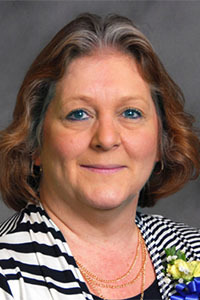 Lishelle Welsey serves as the account technician for the regional adult education program. 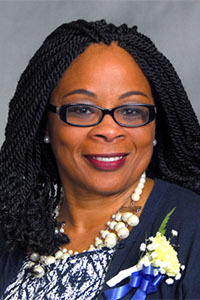 During the regional director's absence, Ms. Wesley ensured grant applications were completed, budgets were developed that reflected the needs of the region, and deadlines were met. She connects with staff and she often assists adult students to make sure their needs are met. She demonstrates great commitment in all she does. 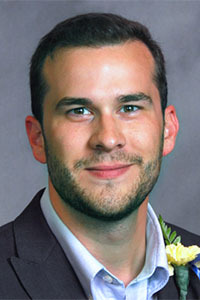 Daniel Barnhill is an Enterprise Applications Specialist. 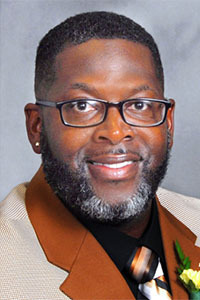 In addition to his duties providing Synergy and MUNIS help desk training and support, Mr. Barnhill also serves as the administrator for the division's online learning management system. He willing took on this task. He took the initiative to increase student enrollment by adding more online courses. His efforts not only resulted in more than 200 new students taking courses, high schools are now using Desire 2 Learn as a collaborative tool with partner schools. 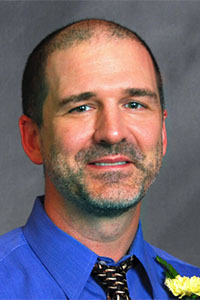 As the information systems analyst, John Payne is responsible for developing and maintaining all computerized applications for transportation. 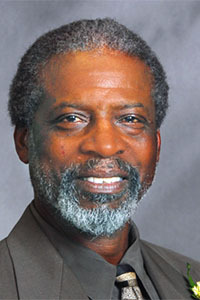 His work is crucial to successful planning and implementation of all school year and summer programs and activities. Mr. Payne stays abreast of evolving technology and brings forth and implements them. 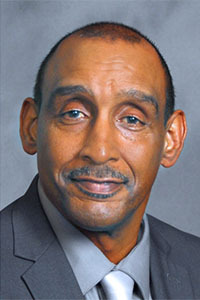 He has successfully led the launch of bus GPS, bus cameras, and time and attendance applications. Mr. Payne is well known for his expertise.